. 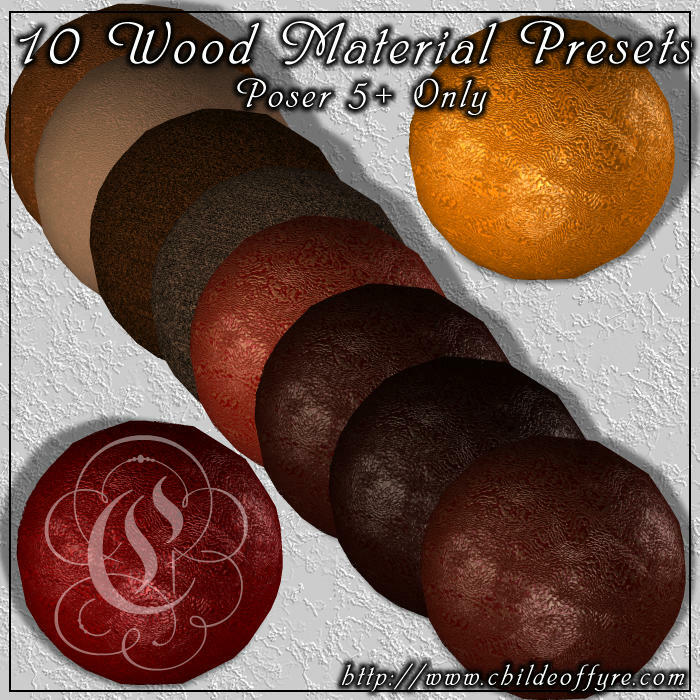 :: 10 Wood Materials for Poser 5+ ::. These are just a set of procedural materials for Poser 5 and up. There are 10 total materials included. Apply via the material room. Poser 4 users should NOT download this file, as they won't be able to use it.